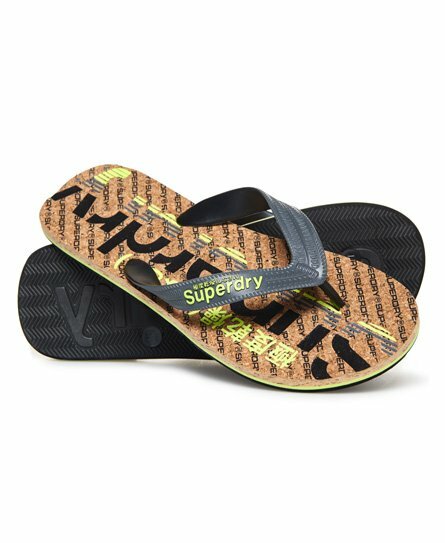 Superdry men's cork colour pop flip flops. Update your footwear this season with the cork colour pop flip flops, featuring a printed sole and textured logo detailing on the strap. Pair with shorts and a shirt for a smart yet casual look.